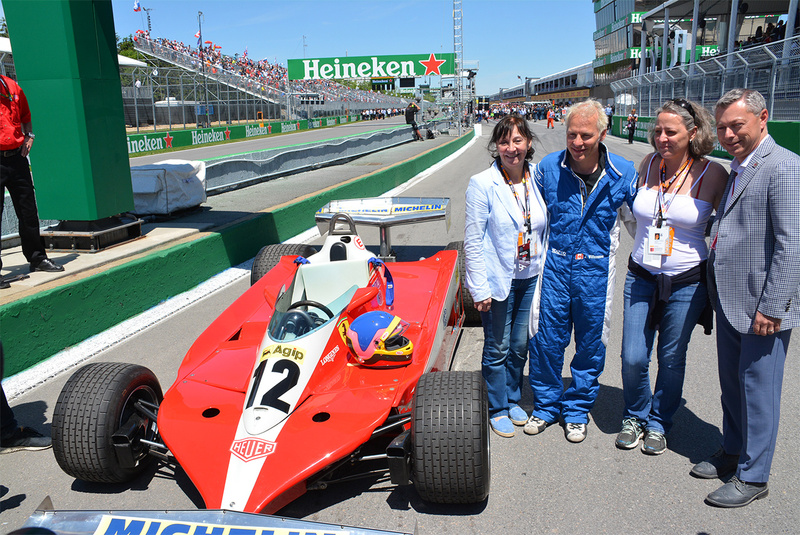 Legendary Canadian Formula 1 driver, Gilles Villeneuve, had a storybook life, with a tragic ending. One magical chapter of his life involved his first Formula 1 win, which took place in his home and native land. 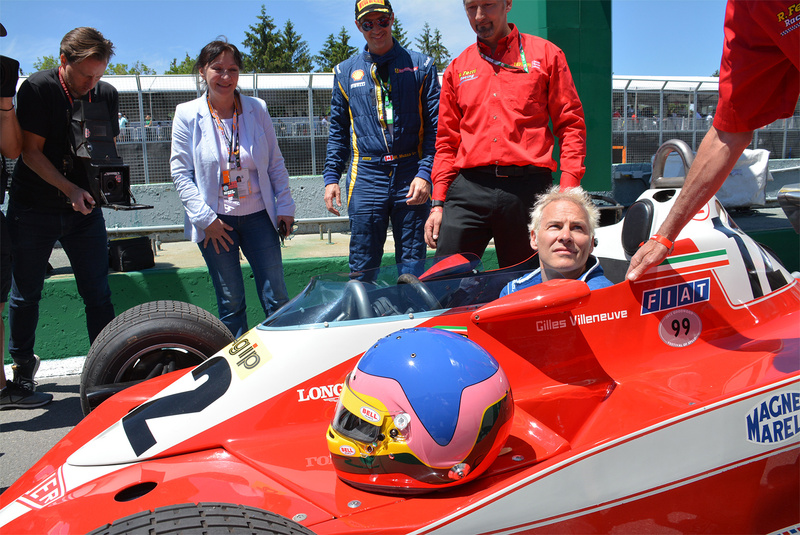 Forty years ago, on October 8, 1978, a young twenty-eight year-old Gilles climbed into his No. 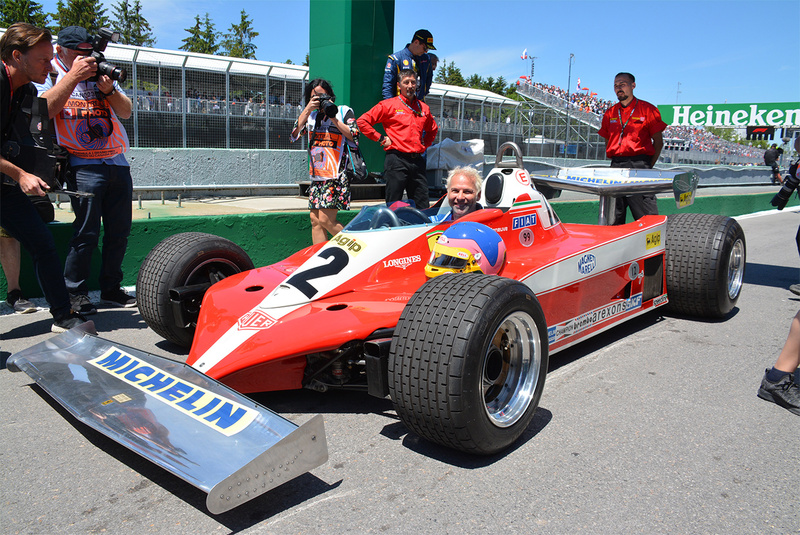 12 Ferrari 312T3 for the final race of the season. 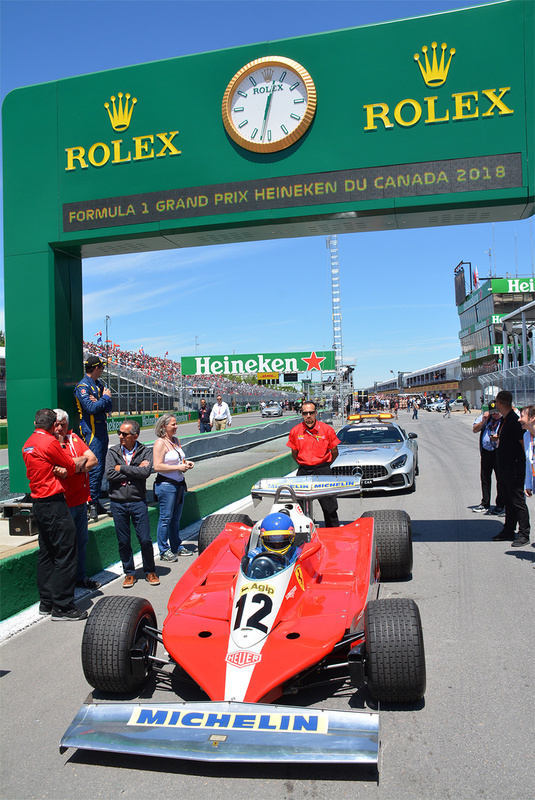 The Canadian Grand Prix was moved that year from Mosport near Toronto to the Île Notre-Dame Circuit in Montreal, just 80 kms from his hometown of Berthierville, Quebec. 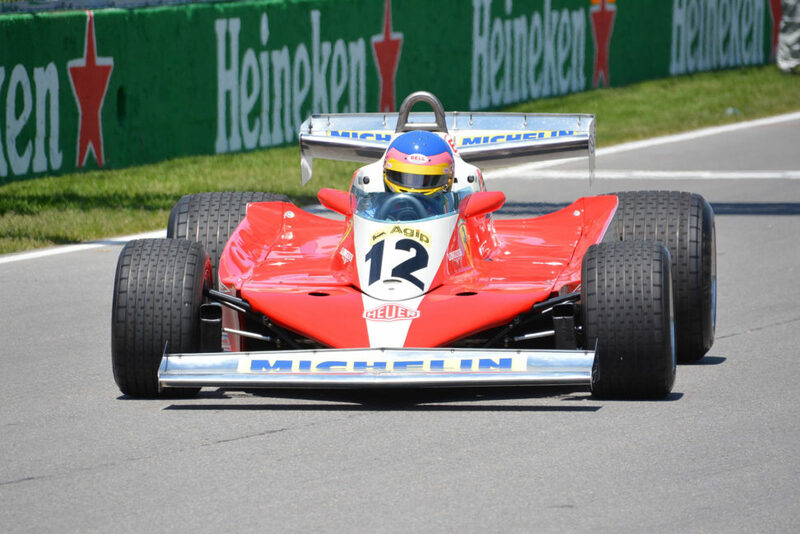 Gilles went on to win the race, which was his first Formula 1 win and, so far, the only time a Canadian driver has won a formula 1 race on Canadian soil. He was greeted on the top step of the podium by then Prime Minister Pierre Elliott Trudeau, a big bottle of Labatt’s beer, and an extremely happy crowd. 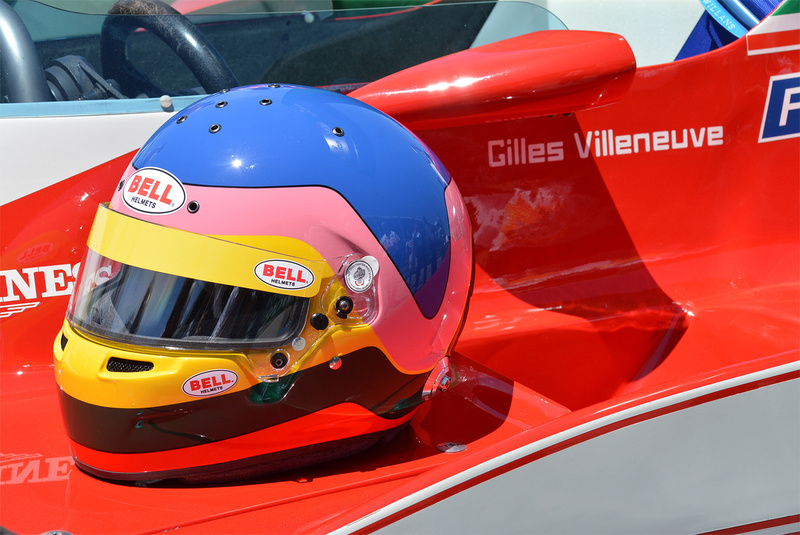 The circuit was renamed Circuit Gilles Villeneuve in 1982 following Gilles’ death that year on May 8 at the 1982 Belgian Grand Prix. 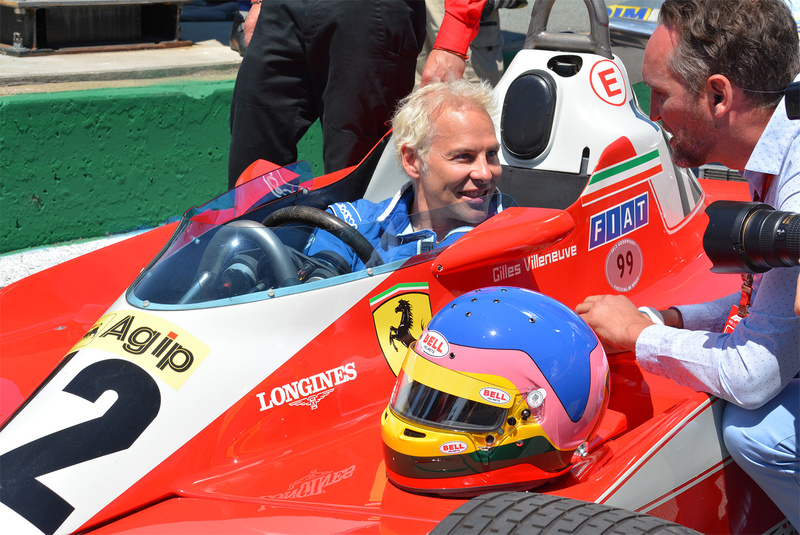 Not only did Pierre’s son, Justin, follow in his father’s footsteps becoming the Prime Minister of Canada, but Gilles’ son, Jacques, also raced in Formula 1 and went on to become a World Champion in 1997, the first and only Canadian F1 Champion to date. 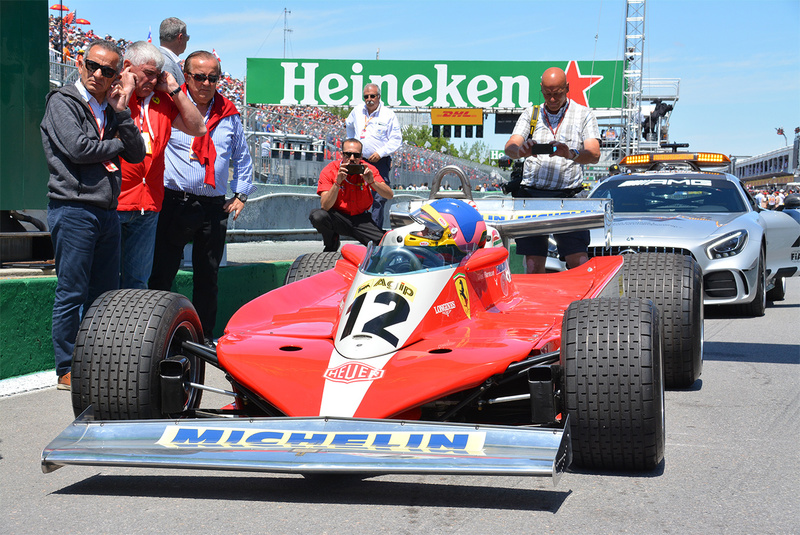 At this year’s Canadian Grand Prix, Jacques Villeneuve drove his father’s Ferrari 312T3 40 years after his father drove that car around the race track to victory. 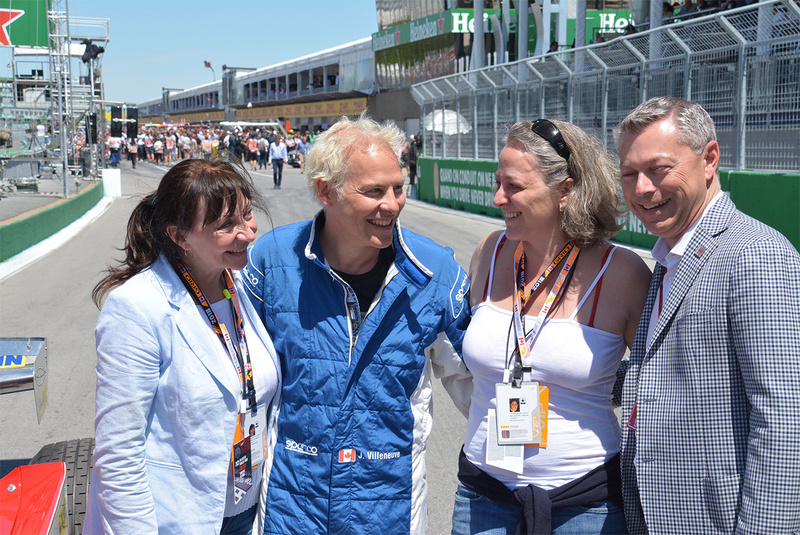 Also on hand were Jacques’ sister, Melanie, their mother and the wife of Gilles, Joann Villeneuve and Francois Dumontier, the President and CEO of the Grand Prix du Canada. Fittingly, the current generation scarlet red Ferrari won this year’s race. 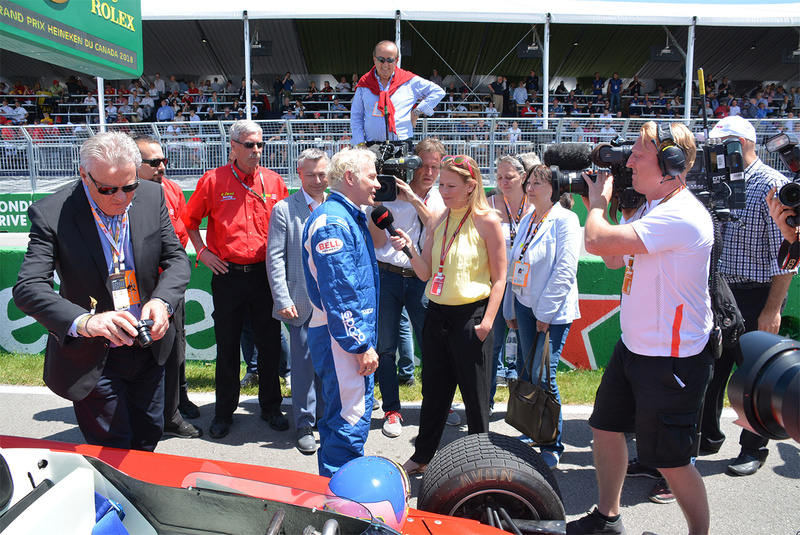 Four-time Formula 1 World Champion Sebastien Vettel won his 50th Formula 1 race and his second Canadian Grand Prix in his No. 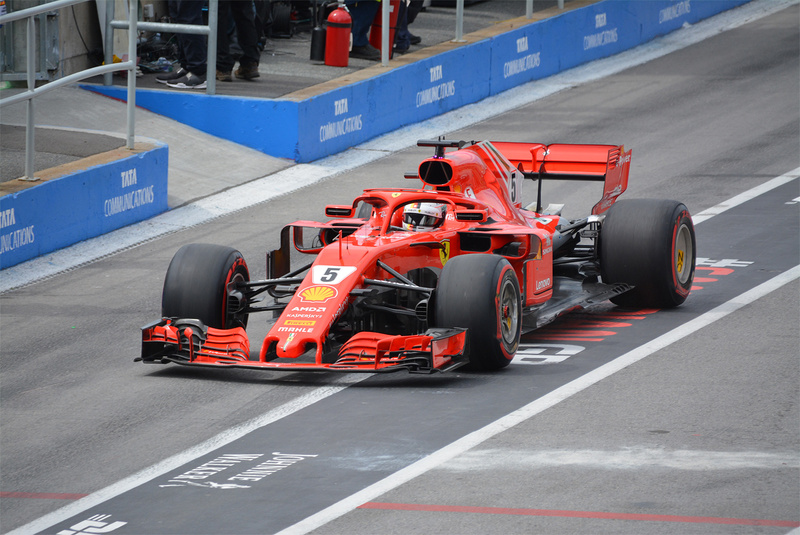 5 Ferrari SF71H. 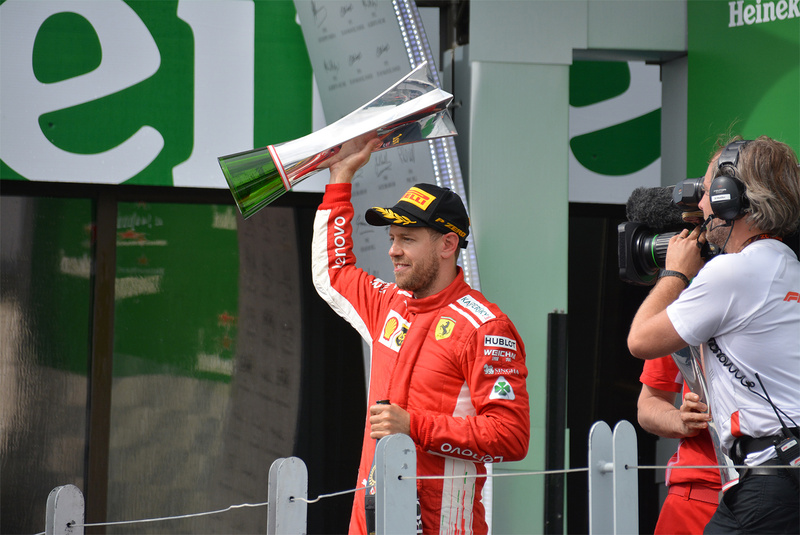 “Forty years after Gilles won his Grand Prix here, I think it’s great to show that Ferrari is still alive, still there, winning races,” said Vettel following his race win. “I’m just extremely proud to become part of the story, step by step, and hopefully a bit more in the future.” Vettel is now leading the drivers’ championship. 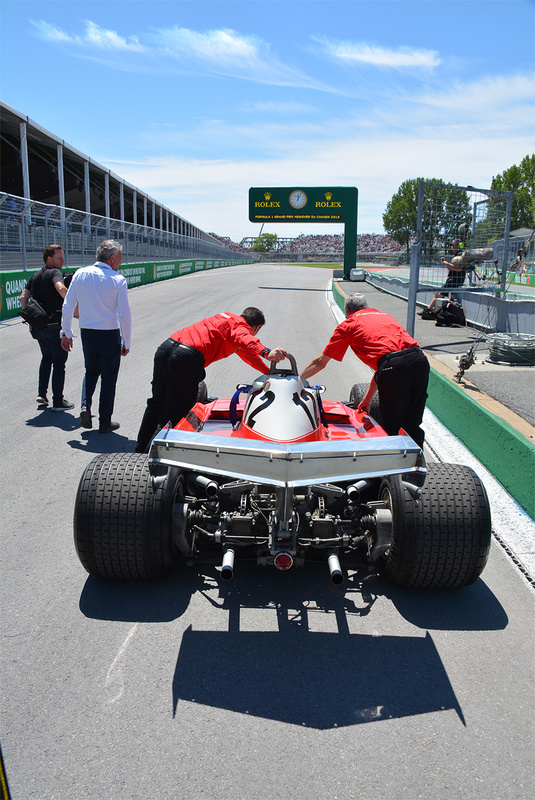 The only Canadian driver to participate in this year’s race was Montreal’s own Lance Stroll. Unfortunately, the 19-year old’s race ended abruptly on the first lap of the race due to an incident with Toro Ross driver Brendan Hartley. To add to the drama of this year’s race, celebrity flag-waver Canadian model Winnie Harlow was accidentally told by race organizers to waive the checkered flag one lap before the race was actually over. Thankfully, it did not affect the overall outcome of the race. PHOTOGRAPHS BY MICHAEL TAYLOR © COPYRIGHT TRACKWORTHY GROUP LTD.